Now in Mode 16! With added micro:bits! 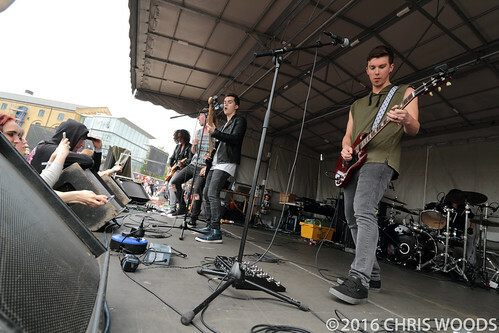 I've been getting a bit more serious with my band photography recently. 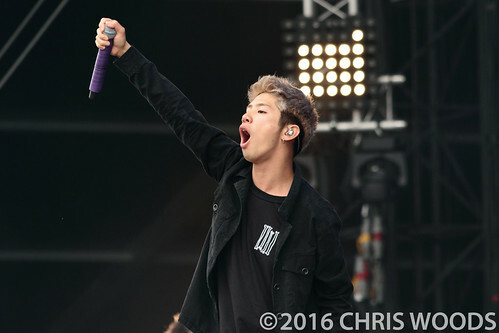 Here's two galleries of ONE OK ROCK (from Download Paris 2016) and Make Out Monday from MCM Comic-Con London (May 2016). BAND-MAID MCM Comic-Con photos coming very soon! Hello, thanks for stopping by the personal web site of Chris Woods. These days, you can find him running many sites, but as this was his first domain name it seemed appropriate to give it a lick of paint and tidy it up a bit. On this site you can find details of the other sites I'm involved with, links to friends' web sites and some professional info - whatever doesn't fit in elsewhere. If you want to get in touch with me, you can find my email address on the Contact page. Two words @google & @SamsungMobile - "NO! Why?!" Why do you insist on wifi and cellular augmented location data for photo geotags? GPS on its own is good enough for everything and everyone else, including the military... Enhanced location is a massive battery hog on this phone. I have hosted with Dreamhost for over a decade - and I still recommend them! Click above to give them a try today. © 2019 Christopher Woods, all rights reserved. Based on a design by Ravi Varma, with plenty of modifications.